The DIY (Do-It-Yourself) revolution is no longer limited to the world of arts and crafts. From cars to clothes and even smart device user interfaces, the DIY method can be applied to just about anything you care to mention. It is often a perfect means of adding a touch of your own personality to something. 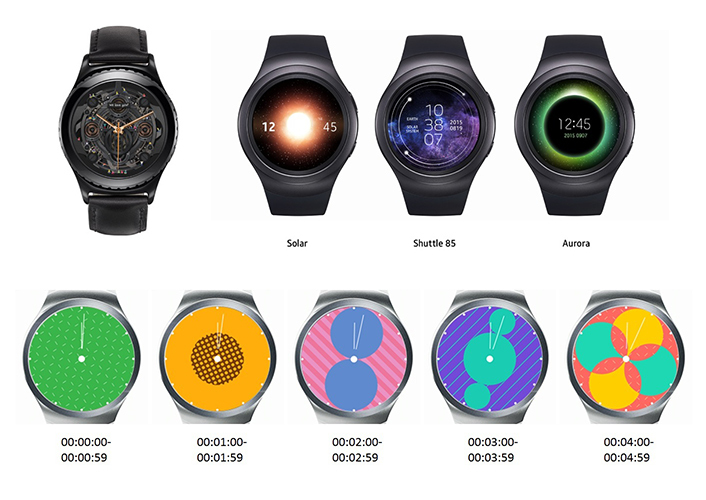 In response to this trend, Samsung has developed the Gear Watch Designer—a program that allows you to make your own unique watch face. It is easy to use and requires neither expert knowledge nor coding skills. 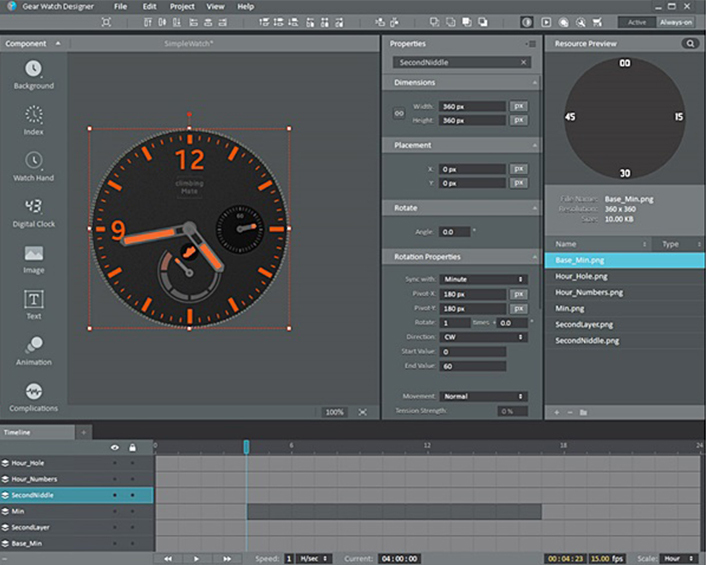 The Gear Watch Designer is home to designer-friendly tools and functions, many of which resemble those used in Photoshop and Flash programs. 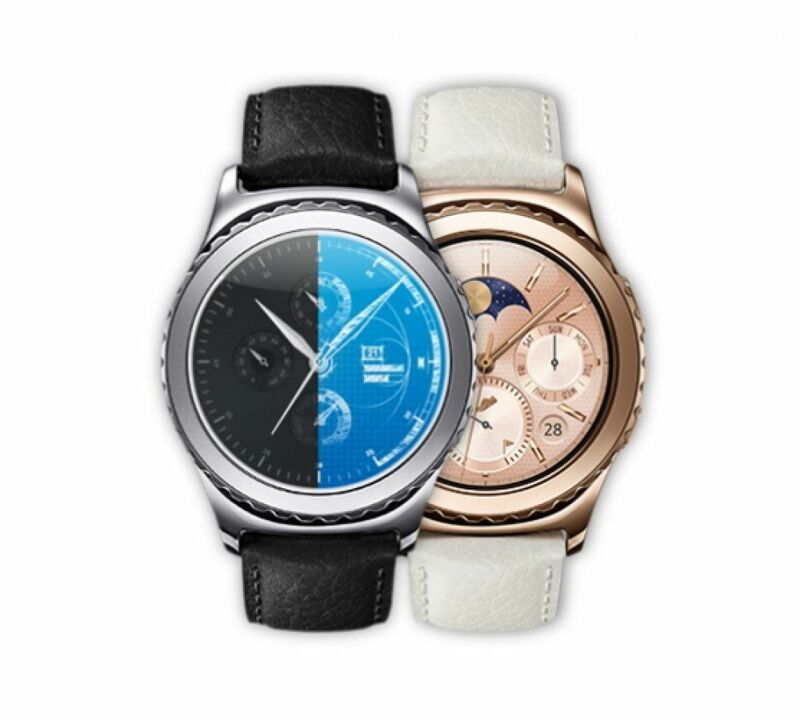 Previously, non-developer Gear S2 users were not able to personalize watch faces based on their unique preferences, much less share their designs with others. But the introduction of the Gear Watch designer has changed that. “In the beginning, we intended to create the Gear Watch Designer as a utility program to help developers. But as we progressed, the general consensus was that it would be better to make a designer-oriented program,” said Young Jae Min, Senior Designer of the UX team. As a result, the team developed the Gear Watch Designer to allow designers to better express themselves, even if they lacked development expertise. The Gear S2 maximizes customization, so that users can directly configure its hardware or software, and edit functions according to their tastes. And the Gear Watch Designer only enhances these customization features yet further. With the program, you can easily add and arrange calendar, heart rate or daily fitness information directly to the watch face, for example. You can also fully express yourself by customizing the index, hour hand, minute hand and second hand in the colors and styles just as you desire, all the while checking to ensure the designs function properly as you edit them. 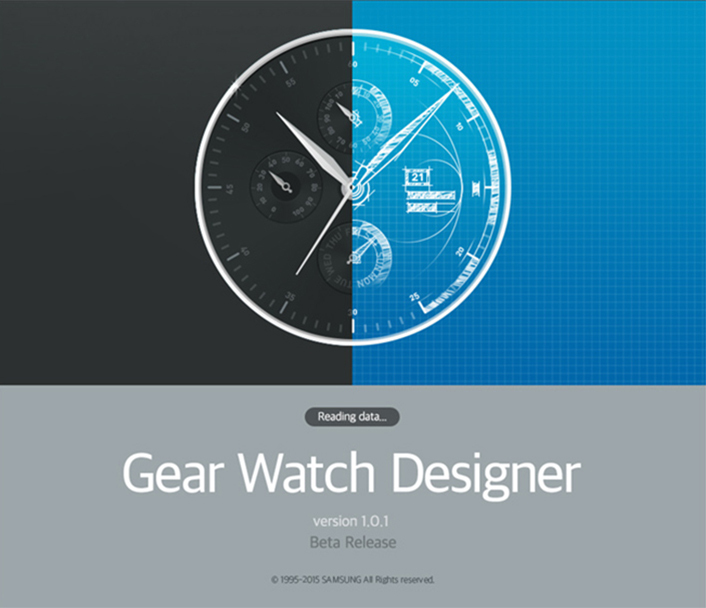 It has only been a short few months since the Gear Watch Designer was launched as a beta version, in December last year on the Samsung Developers website. However, a number of users have already since shared their own unique watch face creations with the Gear Watch Designer’s online community. “In the beginning, we intended to make the program simple. However, over the course of its development, it has become more complex as the team has diversified its ideas,” said Moo Chang Kim, Senior Engineer of the Tizen R&D Team. This rather unique development process, in which the team constantly and collectively brainstorms and shares ideas, has allowed the Gear Watch Designer to advance consistently and in a multitude of ways. Sample watch faces made with the Gear Watch Designer. While anyone can use the Gear Watch Designer to make their own watch face, graphic designers in particular can let their creativity run wild by using their own images as part of the program. As such, the team focused on making the Gear Watch Designer as user-friendly as possible so that designers could use it with great ease. However, as the developers were not all designers themselves, they explain that they found it difficult to find flaws and limitations in the program before they actually launched the beta version. Thanks to feedback and regular inter-departmental brainstorming sessions, the Gear Watch Designer soon developed into a more complete experience. 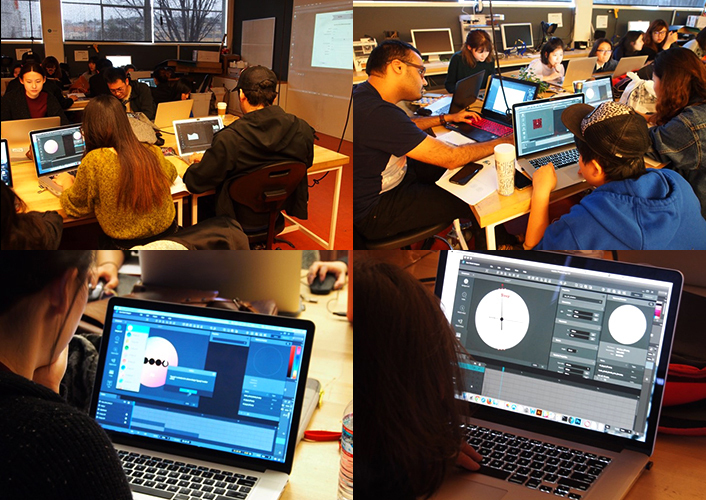 As a result, the program now boasts a number of familiar tools specifically aimed at designers, such as animation functions and graphic interfaces. Even more useful functions will be added in the future in the form of updates. Both experienced graphic designers and keen amateurs can use the Gear Watch Designer with ease, a fact that has led to more and more people sharing their watch face designs online. In fact, some of the most popular of the paid watch faces available were created using the Gear Watch Designer. On March 11, Samsung hosted a workshop at the California College of Arts, UCLA, focusing on watch face design using the Gear Watch Designer. Around 30 design students participated in the event, creating their own unique watch faces using the program. Design students at the California College of Arts, UCLA participate in a Gear Watch Designer workshop. The team will also showcase the program’s various functions at the Samsung Developer Conference (SDC), to be held from April 26 to 28 in San Francisco, California. 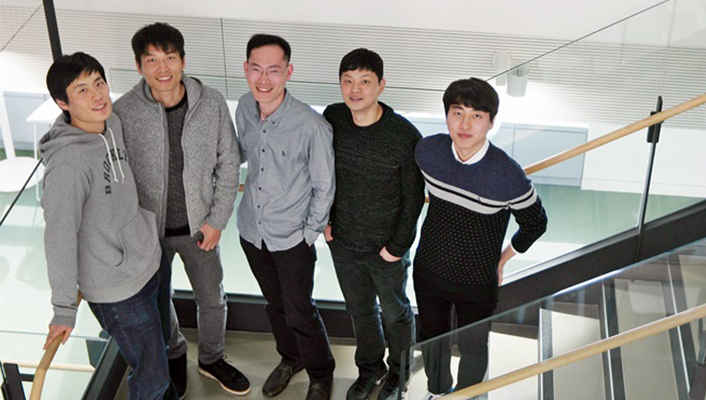 The Gear Watch Designer team (from left to right): Senior Designer Young Jae Min, Principle Designer Sang Hyun Park, Senior Engineers Moo Chang Kim and Hyung Jo Yoon and Engineer Sang Min Jung.